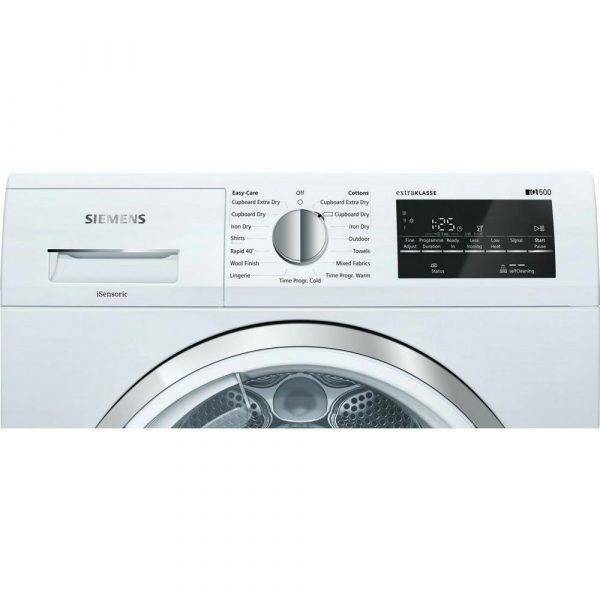 This freestanding Siemens tumble dryer has all the features needed for busy families. And, as this model is exclusive to Euronics and Agent stores, you won’t be able to buy it anywhere else. 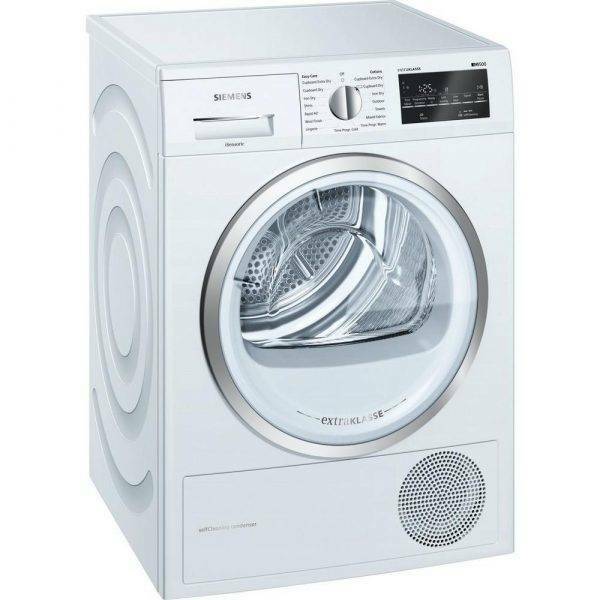 With a wide choice of programmes, you’ll find the perfect one for your laundry using the WT45W492GB. Simply choose from settings including Low Heat, Sensor Dry, Shirts, Towels and more. The softDry drum technology ensures a constant airflow and stable temperature inside the drum. This unique system uses wave-like paddles to stir the warm air, distributing the laundry more gently. Caring for your clothes has never been easier with the WT45W792GB. Plus, the LED display and control dial makes selecting the correct programme a breeze. 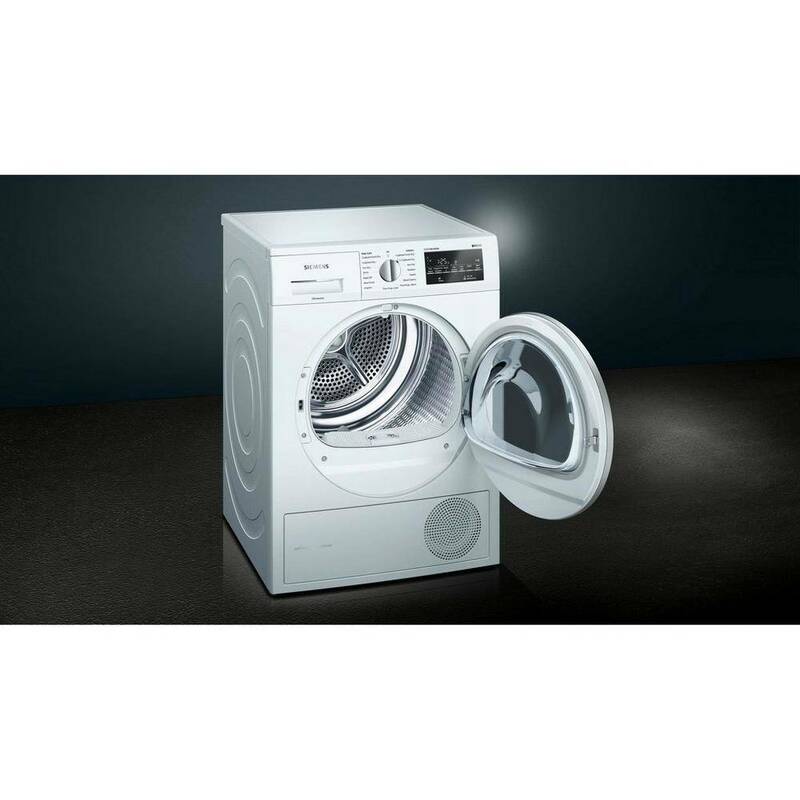 Due to the A++ rating on this Siemens extraKlasse tumble dryer, you’ll have dry clothes quickly and efficiently, saving you time and money. 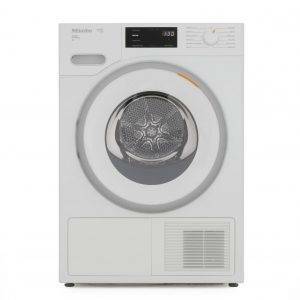 Featuring Heat Pump technology, the dryer reheats the warm air which is circulated back into the drum. Reusing hot air means energy is kept inside the machine instead of allowing it to escape. Kind on your clothes and your wallet, this appliance is ideal for everyone. While the WT45W492GB is in use, the selfCleaning condenser is automatically cleaned several times throughout the cycle. This keeps your dryer lint free and your energy consumption low. 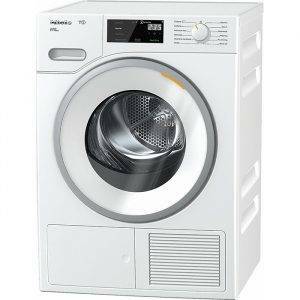 Including a generous capacity of 9 kg, you can whizz through your whole family’s laundry without any hassle. Any laundry washed on a quick 15-minute cycle will be completely dry in just 40 minutes using the Rapid 40 programme. 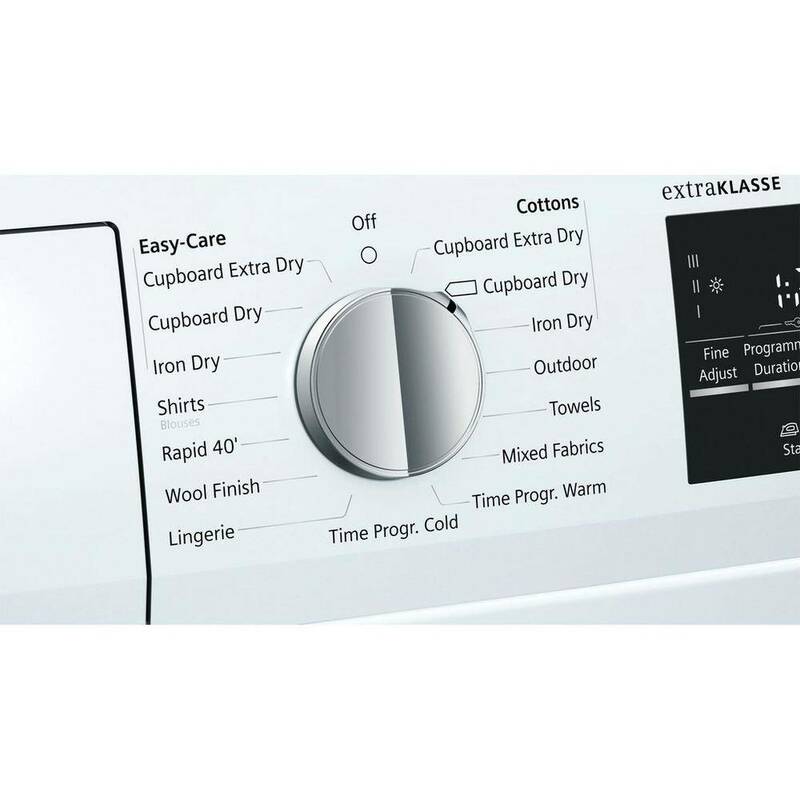 Thanks to optimised temperature control and a cool down phase, you can have perfectly dry clothes even when time is tight. Gerald Giles offer FREE delivery on orders over £100. Deliveries are made by APC and are next working day after dispatch. We aim to dispatch within 2 workings days of the order being placed. You will receive an email confirming your delivery date. Unfortunately, we are not able to deliver large appliances outside of Norfolk and North Suffolk at the moment; you will be informed of this during the order process if you enter a postcode outside of our delivery zone.